When it comes to fashion, designer Pam Chorley believes that “more is never enough,” but the same can also be said of her life. Since she was a little girl, the successful businesswoman refused to follow the rules to attain her improbable dreams, and after surviving the fickle world of fashion for the last 30 years, she’s still reaching for the stars. 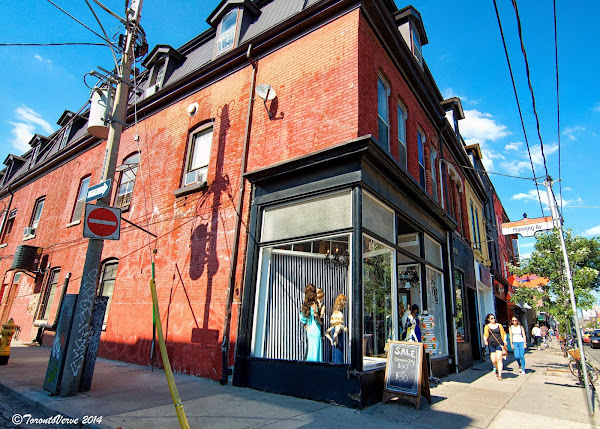 Earlier this year, she moved her trendy boutique, Fashion Crimes, to 706 Queen Street West and hasn’t looked back. 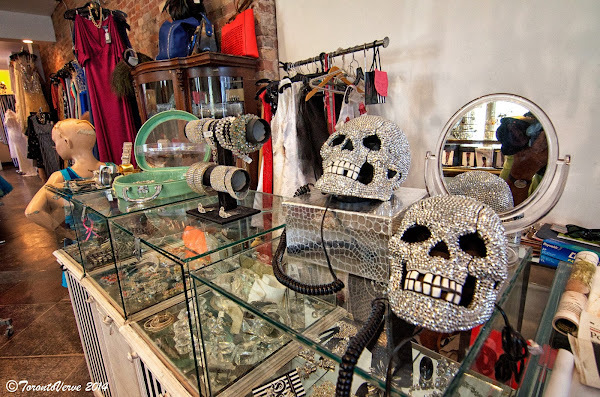 We recently met with Chorley in her new Fashion Crimes store to talk about fashion, family, men and success. TorontoVerve: Fashion Crimes was a fixture at 322 1/2 Queen Street West. Why the move? Pam Chorley: I’ve been thinking about it for a while. I’ve just seen a lot of change in the customer base -- the change in the people who walked that walk on Queen Street. It used to be a destination. It used to be a lot of things that it isn’t anymore. 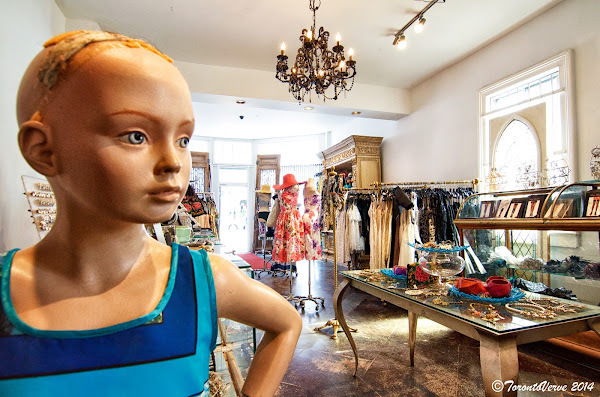 When I first started 30 years ago, there were only one of a kind independent boutiques here. Now it’s all chain stores. Essentially, every store on the block can also be found in the Eaton Centre on the lower levels -- not the higher levels. And consumers’ way of thinking has also changed. They no longer appreciate unique styles that are created by Canadian fashion designers. Customers would look at the price tag and ask, “why is this $200?” Because if they were at H&M, it would cost $20. After a while, you get really tired of trying to educate people because they don’t even care to be educated. They just would rather pay $20 for a dress. So that was beginning to grind on me. TV: How hard is it to compete with H&M and their highly competitive prices? PC: I could never go there. H&M, Zara and Forever 21 -- there are so many of those low-end stores and they’re getting more competitive amongst themselves and they’re getting better and better at what they do. No one will admit this, but H&M gets way better stuff now than they did 5 or 10 years ago. They all want to up their game to stay in business. But I still like what I do. I still have a customer-base. But when Urban Planet moved on the block, I thought, “that’s it.” The signs on the window advertised “all dresses $10.” I pay more than that for the threading. The landlord still thought that it was like the good-old days and it wasn’t. I had a nice enough landlord, but it just wasn’t happening. Sales are going down due to the economy and rents are going up. So I started thinking, “where do I want to be? Do I want to be in Yorkville?” No, I’m not a designer-label person. I’m a designer, but not a label person at all. I buy things that I like because I like them. 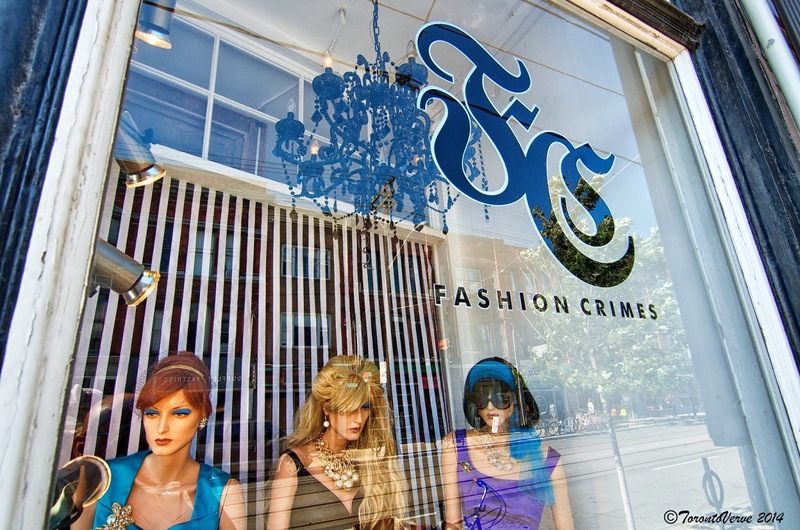 TV: So Fashion Crimes wouldn’t be a good fit in Yorkville? PC: I wouldn’t be a good fit in Yorkville. To me, Yorkville is kinda the same as Queen Street. You can find the same brands on Queen Street that you can find all over the world. You can walk down the street in Vienna and shop at H&M and Zara. Yorkville is the same, but with the higher-end labels such as Hugo Boss, Louis Vuitton and Gucci. So instead of competing against price in Yorkville, I’d be competing against labels. TV: So tell us about your childhood. What kind of kid were you? PC: I was very competitive in gymnastics, swimming and track and field. I’ve always been creative. My family lived in Scarborough. My dad was also creative and worked in advertising. My mom was a stay-at-home mom. I didn’t relate to anybody in the world (laughs). I was mostly on my own because when you’re creative, you’re creating stuff alone. I made Barbie doll clothes and I turned Victorian cabinets into Barbie condos. They had running water and electricity (laughs). When I was 10 years old, I made these giant flower arrangements filled with poppies and roses. My dad thought they were cool and brought them to his ad agency and I’d suddenly get all these orders to create more. They were quite unique in the 60’s -- today you can buy them anywhere. I was probably making more money back then than I am now (laughs). I was always finding creative ways to make money. My parents didn’t have much and they worked really hard. When they bought me clothes, I would get one pair of shoes and one dress a year, and they were always ugly. If I wanted to buy something fashionable, I had to [sell my creations] so I could afford them. In grade 8, I made a box-load of these knick-knacky things for a store in Yorkville. I enjoyed making them and I enjoyed the money. I like being creative and being a business person. In grade 12, I made a different outfit every night. Then after high school, I went to Seneca College, but that was a waste of time. I’ve been making patterns since I was 9-years old. I was self-taught. Whenever I was given a fashion project, I’d fail because I always went way too far. All the kids liked my creations, but my teacher would say, “you didn’t do what you were told so -- fail.” My classmates would protest. TV: What was your first designer creation? PC: When I was 12, the first thing that I designed that was really cool was a pair of thigh-high boots made of Victorian bark cloth and an old pair of pointy shoes. My friend and I were so proud of them, but because we had sewn them on my legs, we couldn’t get them off (laughs). We had to eventually cut them to free me. We never figured how to put a zipper on. TV: You make young girls' prom dreams come true every year with your designs. I'm curious to know what your prom was like and did you make your own dress? PC: It’s funny. Maybe it’s my generation, but you almost had to pay us to go to our prom. Proms now are like weddings. Girls spend a lot of money on their dresses, hair, make-up, limousines and hotels. Proms in my day were: you’d go with some guy who you may not even like and everybody got hammered. I didn’t go to my prom at all. TV: You started Fashion Crimes in 1983, first with accessories and then with dresses. Tell us what those first few years in business were like. TV: How did you come up with the name? PC: It was boom, boom, boom. I don’t think about things for too long. In fact, people would ask, “how do you design dresses?” In all my 30 years of designing, I have never sat down and designed a dress. Never. I don’t have the time. When I think of something, I’ll sketch it on a piece of paper. Eventually, I’ll have all these pieces of papers -- it’s like a puzzle and I just throw them together instantly. But I don’t do collections. I just create every single day. So Fashion Crimes? I don’t know, the name just came to me one day. For me, fashion crimes means knowing the rules of fashion and deliberately breaking them. Like you don’t wear pink and red together. Ok, so my business card had to be pink and red. Yeah, so I told him, “Dad, I have a name for my company. It’s called Fashion Crimes.” He said, “Ok, piece of advice -- you never have a negative in a business name.” He’s like an old ad man from the Mad Men days -- only he’s not a drinker or smoker. [But he later understood my concept]. I remember when I moved [my business to street level], my dad told me, “you know it’s a lot of rent,” and I said, “of course it is, but you know what? If I work hard, I know I could do it.” He wished me luck. So I opened the store on a Saturday morning and by 1 o’clock that same day, I phoned my dad and told him, “Dad, I made my month’s rent already!” And rent back then was $2,000 a month. He was proud. TV: That’s amazing. You sold $2,000 worth of merchandise in just a few hours? PC: Yes, people were really hungry for creative stuff back then. TV: Who were the people buying your clothes? PC: At that time, they were people around 19, 20s and 30s. Right now my market is huge. I still have customers who were there from the start, and their kids have grown up with me. Last week, a girl came into the store to buy a wedding dress and said, “my mom bought my christening dress from you (laughs).” So that’s the kinda stuff I love. Of course, the running joke back then was my customers had to be the same size as me because I only designed clothes that were my size. It sounds a bit selfish, but I only ever made clothes that I would want to wear. And it was the same when I opened the kids’ store. When Jasmine was a baby, I made baby clothes. When she was a toddler, I made toddler clothes and so on. Obviously since then I made diverse sizes. So my customers have always been someone who likes what I like because I’ve never changed. I never made cargo pants -- stuff I wouldn’t be caught dead in. TV: Who were some of your major fashion influences in the 80's? PC: You know, people always ask me that question, but honestly, I never ever had what I would call a fashion influence. I can say there are designers whom I really admire, such as Galliano, Jean-Paul Gauthier, Vivienne Westwood and Alexander McQueen. I have crazy love for them. To me, I don’t even look at it as fashion, I just see it as creativity. I’m aware with what’s in fashion, but I don’t follow fashion. I don’t buy fashion magazines and I don’t look for it on the internet -- it just comes to me through osmosis. TV: Back then, I remember looking at Fashion Television with Jeanne Beker all the time. PC: Yeah, me too. Again, on Queen Street there were a lot of one-of-a-kind boutiques -- people were hungry for that kind of stuff. And there was nothing like Fashion Television. We got to see fashion shows that we never got to see before. Now, those types of shows are all over the place. TV: How often do you design? PC: Designing is the last thing I do in a day, in a week, in a month or in a year. It’s such a small fraction of what I do. Most of my time is spent running a shop and factory. To me, designing is the fun part of my business. TV: So how much of your day is dedicated to designing? PC: Honestly? 5 minutes. It’s quick. But now I have an assistant who does some of the pattern making and cutting. TV: When a woman purchases a dress at Fashion Crimes, what is she buying? PC: When it comes to our clients, it usually comes down to what they think they really want versus what we know would look amazing on them. It’s like a marriage of those two things. 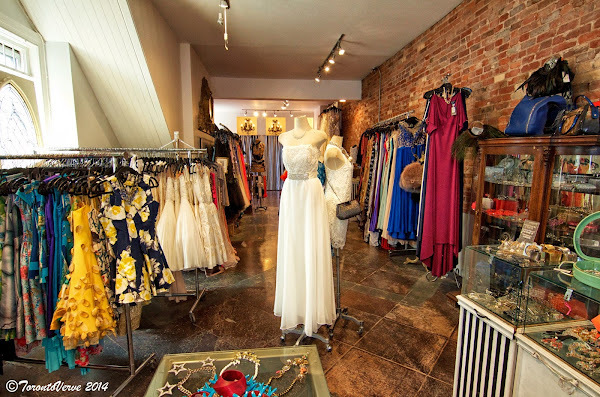 For instance, someone may come into our store and say, "I’m looking for a slim, white dress with a v-neck,” and we might be thinking, slim wrong, white wrong and v-neck wrong for their body type. “Why not consider a pastel colour with a high neck and flare instead?” Completely opposite of what they’re looking for. Sometimes we’ll educate our clients about what looks better on them. I’d rather sell someone a $100 dress before I’d sell them a $500 dress, if the $100 dress looks better on her. I wouldn’t want her going to a wedding wearing the $500 dress and have everyone asking, “where the hell did she get that?” What’s the point in that? We’re very honest with people and we want them to look and feel their best. TV: What are your thoughts about J. Crew and their vanity sizing? PC: I heard that they have an extra, extra, extra small now. PC: What is that (laughs)? I think The Gap once had a size 8 that was really a 12. I think it’s giving people the wrong message. The average size of the Canadian woman is 12 and that’s not the big girls -- that’s the average. So what is a triple zero? I think that’s why I’m successful. I think anybody can look amazing. I can look at someone and say, “you’ve got a beautiful face, you’ve got beautiful arms and beautiful legs. This part you’re not so happy with? Ok, let’s focus on all the other stuff and [work from there],” and that’s what makes a great dress look fantastic on a larger woman. TV: When your daughter Jasmine was born, how did you balance being a new mother and running a business? PC: I took two days off for maternity. I gave birth to her on a Friday night and I was cutting dresses again on Monday. But a year and a half later, I did get an assistant for the first time to help me cut and sew the dresses. The first 7 years was exhausting. TV: I've shot Jasmine's street style as well and she told me that she wore jeans a lot to rebel against your love of pretty dresses. How did you feel about that? PC: Well, the big joke when I was pregnant was, I obviously wanted a girl, but if I had a boy, I’d probably dress him up in dresses for fun. So I was elated to have a girl, but then the next joke was that she wanted to just wear Gap because mom was all glam. Eventually, it all worked out. She got into modeling and developed her own style. She’s not sparkly glam like me, which I think is cool. She’s more like Audrey Hepburn -- very classic. She’s always amazed about her baby pictures though. I used to dress her up in biker jackets and bellbottoms (laughs). TV: How would you describe the relationship that you two have now? PC: I never had any problems with her. She doesn’t drink, do drugs or smoke. She’s got an amazing fiancé. He’s super smart like her -- they’re old souls. They attended a dinner party and all my friends asked, “how old are they? I’ll never be that old.” She’s lovely. We’re very close. She really respects my work and what I do. She’s more academic and into history and politics -- unlike me. So maybe because we’re opposites in certain ways, it really works. I really respect and admire her. TV: Does she have designs for taking over the business? PC: (Laughs) She told me when she was 7, “mommy, I never want to work as hard as you.” She’s very chill and couldn’t sell something if her life depended on it (laughs). TV: Did your husband help you with the business? PC: He helped me a little bit with some of the handyman stuff. He was very handsome. Jasmine looks a lot like him. Before we were married, I remember telling him, “you should be in school. Why are you sitting around cafés smoking cigarettes? You’re too smart. You should go to university.” Well, he couldn’t afford it. So I put him through university and teacher’s college. He eventually got a teaching job and 3 months later he had an affair with a student’s mother and we split. That was 10 years ago. It’s a cliché to say this, but at least I got a lovely daughter out of [our marriage]. TV: With your busy schedule, do you have time for relationships? PC: I have time. I just haven’t met a guy in 10 years. Nobody asks me out, and if they do, they’re half my age. It should be flattering, but it’s not what I’m looking for. And anyone near my age is too old as far as their interests. There are men who are 5 years younger than me and I feel that I’ll never be as old as they are. Jasmine says it’s because I’m very immature and I say, I’m going to hold onto that because that’s who I am. I have no trouble hanging out with my staff who are in their 20s and 30s. I’m a very serious person when it comes to my personal life. I want a real relationship with a real person -- not just a hook up. It just seems pretty much impossible. It’s not that I’m not open to it. TV: Do you feel that men may be intimidated by your success? PC: No, I’ve connected with very successful men through the internet and everything starts out cool -- then they tell me, “if I was in line with you at a coffee shop, I would never speak to you.” Why? I’m friendly. I’m nice. They answer, “you’re way too hot or your way too this or you’re way too that.” And when I meet them, they want a relationship, but after we go out for 6 months, they say, “oh I think you think this is something more.” So yeah, it’s funny. TV: Where does Pam Chorley like to shop? PC: You know, I don’t really shop. Can you believe it? I like shopping. I like finding cool and unique things at flea markets. If I didn’t make my own clothes, I’d probably wear vintage all the time because you get the most original embellishments, embroidery, fabrics, detail and design. I would never buy brands. If someone said, “this is a $3,000 Chanel ring,” I’d say “good for you. I don’t care.” I actually take the labels off of things. I feel that ostentatious ‘gotta have something on it that says what it is’ attitude is for people who don’t really know anything about fashion. "It doesn’t look like you have style -- it looks like you bought stuff." I admire people who just ooze [style] naturally. TV: Aside from fashion, what are some of your unknown talents? PC: I’m kinda like a real guy. I have a house and 5 properties and I’m like the landlord, the drywaller, the plumber and the electrician. I’m hands-on with everything. PC: Yeah, I’m very happy. Unfortunately, I’m a die-hard romantic so that part is not happening and I wish it would, but it’s not something that you can force. I’m still doing what I love. My daughter, staff and lifestyle are great. I’m still kicking. Fashion Crimes is now located at 706 Queen Street West. Follow Fashion Crimes on Facebook, Twitter and Instagram. What a beautifully romantic story. It oozes style. The 'Mr. Bigs' who turned to pumpkins at 6 months were fools.